The engine is the heart of the car. It consists of different components each working to improve the car’s performance. The engine block contains the pistons, crankshaft, and sump while the cylinder head has the tappets, cams and the valve springs. It is vital that you know the difference between the short and long block parts of the engine when you plan to purchase a car engine. The two engine types are similar in size when you purchase a engine. It is the components that differ when you are purchasing the engine. The short block gets its name from including the crank, engine block, and pistons. The long block will have in addition to the short block components have a camshaft, cylinder head, and valve train. Due to the absence of certain engine components for the short block, it also comes with a short warranty. Long block engine is defined as a complete engine and this means it is as close to full assembly as possible. The engine has all its essential component intact and this ensures you spend less time in installation. Some of the parts found in the long block engine include the camshaft, crankshaft, cylinder head, and the valve train. The long block engine offers more power than the short block engine. The engine is more expensive than the short block. The long block engine does not come with the intake, fuel system and exhaust parts. This type of engine comes with the crank, piston and connecting rods; the engine is incomplete. It takes some considerable time to assemble all the engine parts. Once done you will need to assemble the gaskets, oil pump and cylinder heads. The short block engine has the engine block only and runs from above the crankcase and below the cylinder head. Some of the older car models would include the balance shafts, timing gear, and the camshaft. We also have the turnkey engine – which is a fully assembles engine block that comes straight form the engine manufacturers and in a crate. The benefit of this engine block is that all you need is to install it in the car and fix the necessary installations and the car is ready for a drive. The turn key has all components of the long block engine plus spark plugs, throttle pedal and airflow sensors. The reason people prefer purchasing the short block engine despite it having lesser components is the costs involved. Depending on the car make expect to spend between $2,000 to a high of $5,000 for a long block engine. The short engine block comes at a fraction of this. 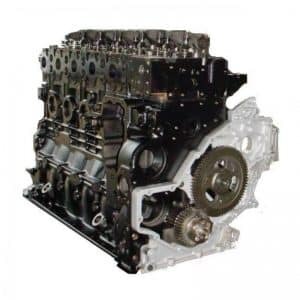 When purchasing the short block put into consideration that the engine block is not complete and you will need to pay extra for additional components. The time it takes to fix all these components should also be considered. The long block engines comes with longer warranties than the short block engine. It is risky getting a warranty for the short block engine because it does not include the warranty for the additional items that you need to make the engine block complete. Anything can go wrong with additional fittings and it is recommended that you get a professional mechanic to help you install the engine components. The long block engine is more reliable than the short block because it comes with more components. Imagine getting all the missing short block components from different vendors and you have issues with quality. The best part about the long block is that all the components that come with the engine tend to wear out evenly and this keeps your costs of replacement at a bare minimum. When dealing with long block and short block engines you need to factor in the issue of compatibility. Not all the components of the engine block will work with the electrical components of the car. There many instances where you experience problems with the transmission or the electronic control unit after installing a new engine. You will need to work closely with your mechanic to ensure compatibility. The short block does not come with some engine components like the cylinder head and this offers you great maneuverability when it comes to spare parts. You can adjust the cylinder head unit and get one that positively improves the engine’s horsepower. You will need to do some minor adjustments to your cylinder head for increase in power but this is cheaper than getting a fully assembled engine. However, you need to be careful to only purchase quality spare parts. 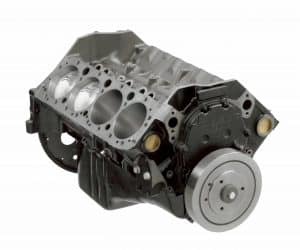 Many people will opt for the short block engine when there is extensive damage to the engine block but most external parts are functioning well. By retaining most of the external engine parts you experience considerable cost savings. After driving your car for thousands of miles your engine block can develop problems and be in need of replacement. The first option available to you is to get a fully assembled engine block called the turn key. This comes from the manufacturer’s warehouse in a crate and you will only be required to join it to your car electrical components. The other option is to get a long block engine which comes as the engine block, pistons, crank, camshaft, cylinder head and valve train. The short engine block comes as the engine block, crank and pistons. It is cheaper to purchase the short block engine but you will need to purchase the other engine parts separately. This gives the purchaser greater flexibility in selecting cylinder head. You can even get one that offers you more power. When purchasing other parts for the short block engine ensure that you get quality parts from reputable dealers. The benefit of the long block is that all the engine parts wear out uniformly. It is vital that you ensure that your engine block configures with the car’s electric control unit and transmission. Your mechanic can offer advice on which model to go for and whether it ensures comformity.